I’ve been trying to do this vibrato with all four fingers like you mention in this video, however the part Im finding difficult is because I have quite long thin fingers they seem to be getting bunched up on the fret board when I try to do it. I usually only do my vibrato with two fingers, but obviously that way does not sound they way Angus Young does it, also when I try to bend the string up and give it some vibrato at the same time im finding it near impossible to do. I think it is because of where Im putting my thumb, I noticed on this video when you were bending the strings up and giving them vibrato your thumb was up hanging almost over the fret board and when you came back up to the D A and low E your thumb went back down sort of central to the fret board, would you say it makes it easier to do like that? it takes TIME! It’s a process almost neverending – though there is a clear point when this starts working properly and from that point on you only progress further in goodness – don’t expect it to work right from the start. Will take you probably months. The point around which you MUST concentrate with awareness (i.e., know what you are doing) is that you have to find a “momentum of force” (how do you say this in English? It’s physics) that works fine for you. A LOT of strength is required to get this done right, especially in the beginning stages. Fingers have to be as much as possible in the 90 degree position, and it’s partly the fingers pushing upwards (Angus says so). The point is not even reproducing Angus’ vibrato; I think this style vibrato is really classy and exceptionally sounding. Kossoff also had it singing much like this. I will keep trying this and take on board what you have said. I was just re-watching this myself. My vibrato there basically was at its starting phase (and it has been years that I had been playing already, and a lot live). Still, no where as good as it is today. I must make a video lesson to speed up you guys efforts. +1 on new hints video – do it! These are great! do you always play ac/dc on the clean channel ? what do you think of the Marshall MG15CDR for getting an ac/dc tone ? that little amp that you use in the “GET THAT TONE ( AC/DC E SANDERCOE’S VIDEO CONTEST)”, is good for get the ac/dc sound ? When there is vibrato in Rck and roll aint noise pollution in the riff ( I hope you know where i mean)Well how to do that? Always when im doing that i lose soundon lower string, cause my finger onupper string touches the lower one, and it gets muted!!! you have some tips that i can use ? I think this is one video that touches your inner feelings when listening at it! It really helps a lot! Thank you Fil! Fine, another Austrian here Though I’m a German, I’m living in vienna. Where are you located? Near U6? Funny I’m there every day when I’m going to school, I’m living in Jedlesee (33B Station Jedelsee). Yes, Mengergasse, 5 mins to walk…Well, I’m out of the age for going to school, I’m almost 40. How old are you? I’m 16 (I’m 16 on this Saturday). Oh I saw where you living on Google Maps right now. Hehe, funny, world is small sometimes…well, yeah, 40 isn’t the right age for going to school except you’re a teacher 😀 My stepdaughter is 16 too, becomes 17 at January. You’re playing guitar? I guess you’re also playing guitar, am I right? Thats great, to start playing that early. And it’s great to have parents supporting this. I just started to learn, about a year ago. Wished I could play several hours a day but I dont have the time, sadly. Mostly I can manage to play 3 times a week. Way too less. 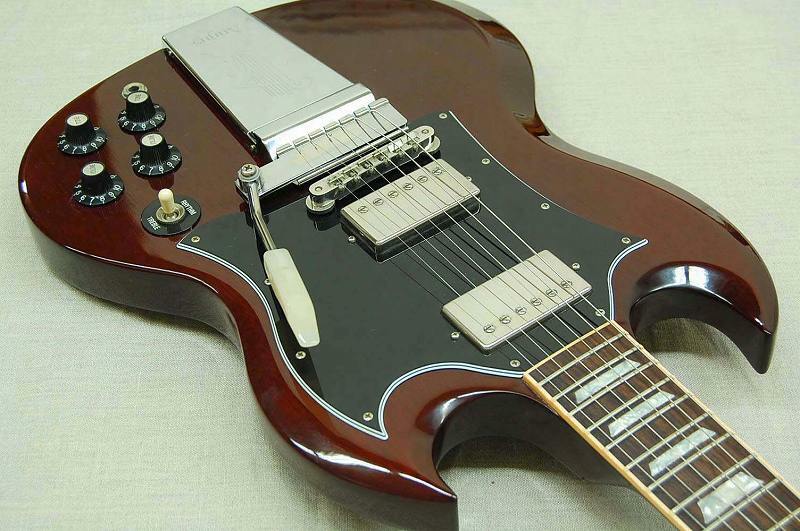 Do you still believe that raising the bridge humbucker as high as possible is a good way to achieve the slight “chick” sound on your guitar when picking? Or is this a method that you, yourself, have disproven? Absolutely. I still do it all of the time with any guitar! Fil, what amp head were you using there? and also what cabinet for that matter? Cabinet here I still have it, and it is still my number one cabinet that I go to: a 1969 /date) 1960A cabinet with pre-rola G12Ms 25 watts inside, functionally in perfect condition. This was the first video I saw from SoloDallas, and it was one of the most helpful and beneficial for me; and I’m sure many others as well. Never saw this one. Great video, thanks for putting these old ones up.